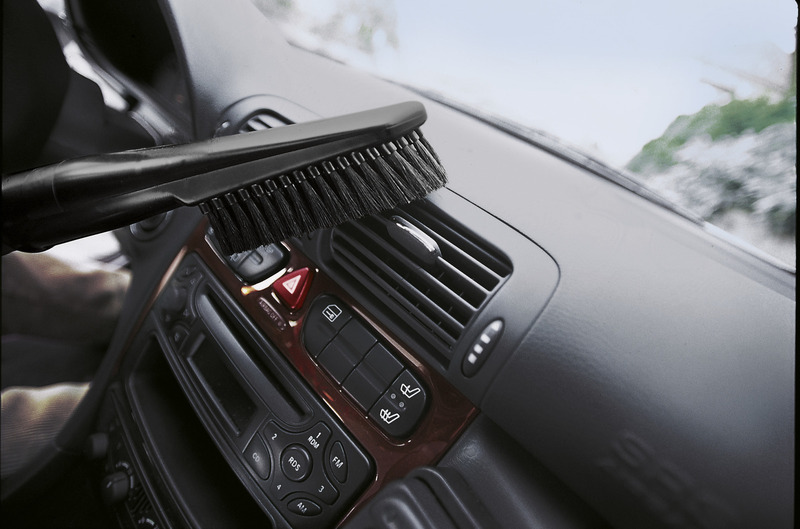 Car interior cleaning kit 28621280 https://www.kaercher.com/au/accessory/car-interior-cleaning-kit-28621280.html Extensive accessory kit for all jobs in the car. For cleaning car boots, footwells, dashboards, seats, side pockets, footmats, etc. Extensive accessory kit for all jobs in the car. For cleaning car boots, footwells, dashboards, seats, side pockets, footmats, etc. Extensive accessory kit for all jobs in the car. For cleaning car boots, footwells, dashboards, seats, side pockets, footmats, etc. Contents: 1.5 m extension hose, one extra-long crevice tool (350 mm), one car vacuuming tool, one brush with soft bristles, one brush with hard bristles, one window cloth, one all-purpose microfibre cloth. Cleaning the car interior has never been so much fun! For spaces such as gaps, crevices, cracks etc. Larger working radius, e.g. on stairways or for high ceilings. 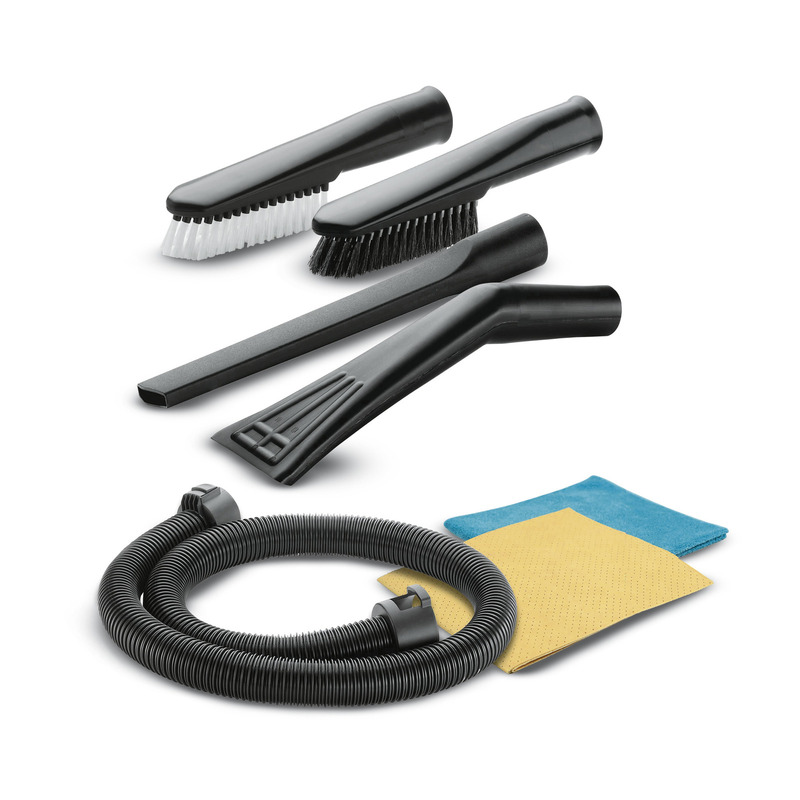 Car interior cleaning kit is rated 5.0 out of 5 by 1. Rated 5 out of 5 by Jimbo from Great quality Bought to go with my new Karcher Vac. Very pleased with purchase, and excellent for use in the car.